Despite all this, the government has given orders to detain refugees for as long as possible. The Lesvos police have now refused to register new arrivals, while refugees are forced to wait out in the open in increasingly poor weather – without any protection, food, clothing or access to asylum. Less than a week ago, a group of refugees were subjected to a racist attack in Mytilini on the island of Lesvos. The victim was a pregnant woman. Every day, the situation worsens for these people who are gathering in parks and public places, after having desperately tried to get arrested by the police. They say that at the police station they were simply turned away and told to come back in a week’s time. We can imagine how desperate people must be if they beg to be arrested and detained under inhumane conditions, hoping to be given a temporary permit, which allows them to leave the island. Two days ago, dozens of refugees – mostly from Syria and Afghanistan and among them small children and a pregnant woman – have found temporary shelter in a park in the centre of town. They were soon supported by locals, who realized that the refugees needed protection from both the cold weather and racist attacks. The danger became real when the local chief of the fascist “Golden Dawn” party arrived. The local population have continued to show solidarity, which shows the need for a solution to accommodate these people. 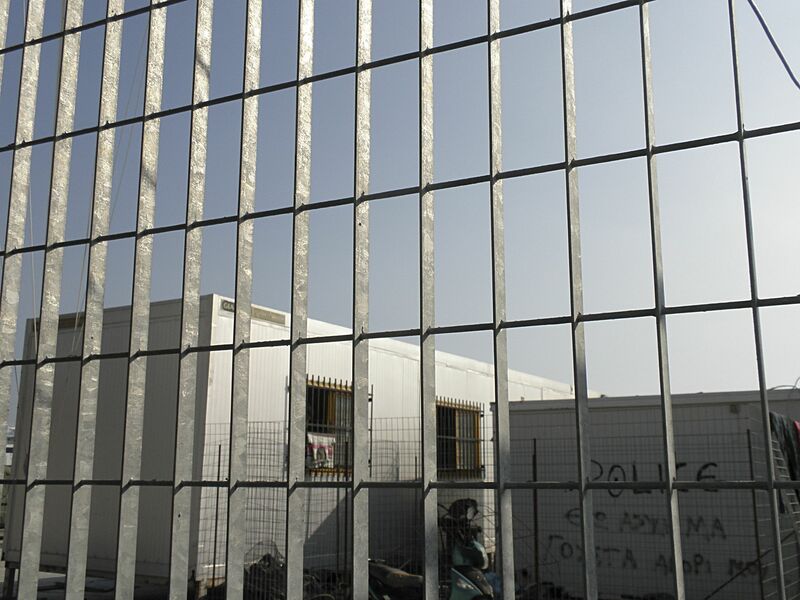 However, a solution can not be a new detention centre – the former detention centre Pagani which was closed due to rioting inmates and solidarity demonstrations in 2009, is still talked about all over Europe. The open show of solidarity by the people of Mytilini proves that it is theses solidarity networks who effectively protect refugees and migrants and who stand up against fascism. The city must now provide a suitable accommodation, which is accessible by collectives and civil society. At the same time, the police must implement a system of quick registration and issue of temporary papers for these people who simply want to leave the island. We must realize that the flow of migrants will not stop because we detain them and they become more and more destitute because our entire society will become more destitute. 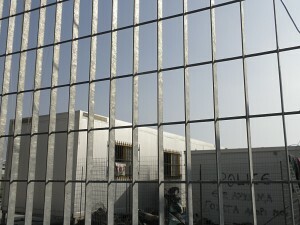 Detention will not stop anyone who is running for their lives. In a humanitarian crisis of this magnitude, a solution can only be achieved by participation of the local society and with international solidarity.